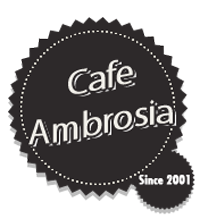 Online ordering menu for Cafe Ambrosia. We serve Greek and Mediterranean cuisine here at Cafe Ambrosia in Long Beach, California. A few of our items include Calamari & Avocado Wrap, Chicken Caesar Salad, and Beef Kabob Hero. Don't forget to try our Pita Sandwiches and Pasta dishes! We're located north of Junipero Beach at the corner of Broadway and Cherry Avenue. We're by Bixby Park! Order online for carryout or delivery!